Added to my icandyarn ArtFire Shop is this gorgeous Merino/Nylon Spinning Top. 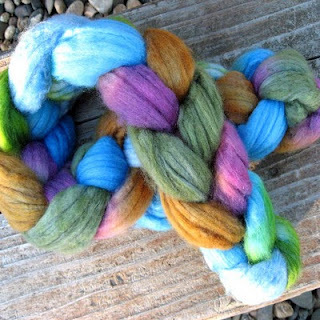 Unbelievably SUPER SOFT roving perfect for making sock yarn. 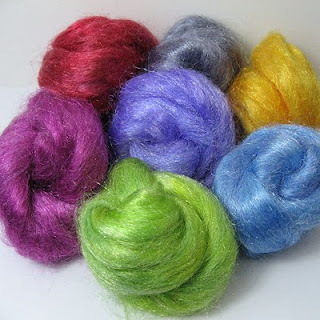 Update in my new ArtFire Shop is a FireStar Sample (7 nests = 2.1oz.) i just love how the stuff sparkles. Looks awesome when blended to make sock yarn.